Essen, Germany - October 28, 2015: Still Life arranged in a photostudio. Beer tasting scene. Many different beer bottles from international breweries from Europe and USA. Dark and light beer served in typical glasses. This picture wants to show that tasting beer can be similar to tasting wine. One craft beer trend is certain for 2017: it’s boom time. For the first time in history craft beer has surpassed a 10% share of the overall U.S. beer industry. This is still a category on the rise. And it’s attracting a steady stream of new producers. The number of breweries in America exceeded 4,000 for the first time in 2015, and by the end of 2016 nudged above 5,000. That’s a whole lot of new beer being pumped into the American marketplace. But is this growth sustainable? Bar Rescue’s Jon Taffer is unconvinced. But the continued trend of consumer tastes toward craft products would suggest ‘yes’. Other critical factors, outlined below, will also determine whether the majority of these microbreweries succeed, or face another bubble burst like what wrecked the craft beer industry in the late ’90s. Perhaps the most consequential trend in consumer behavior is their pronounced taste for whatever’s the newest brand or flavor. Many people, Ryan explains, never want to drink the same beer twice. Beyond a handful of personal favorite brews, everything else they drink will be new to them. This increase in consumer experimentation, and lack of brand loyalty, has dramatically changed how beers are sold. And it’s greatly supporting the exponential growth of this industry. And cheat they do. Retailers must carry a more diverse selection to maintain sales. Wholesalers are carrying five-to-10 times as many SKUs to sell the same number of cases in years past, Ryan says. This has all opened the door for the surge in new breweries and product. Experimentation at breweries is likely at an all-time high, as they put twists on styles in hope of grabbing the attention of the “new” crowd. The big guys in craft beer have felt the effects of this splintering of customer attention. 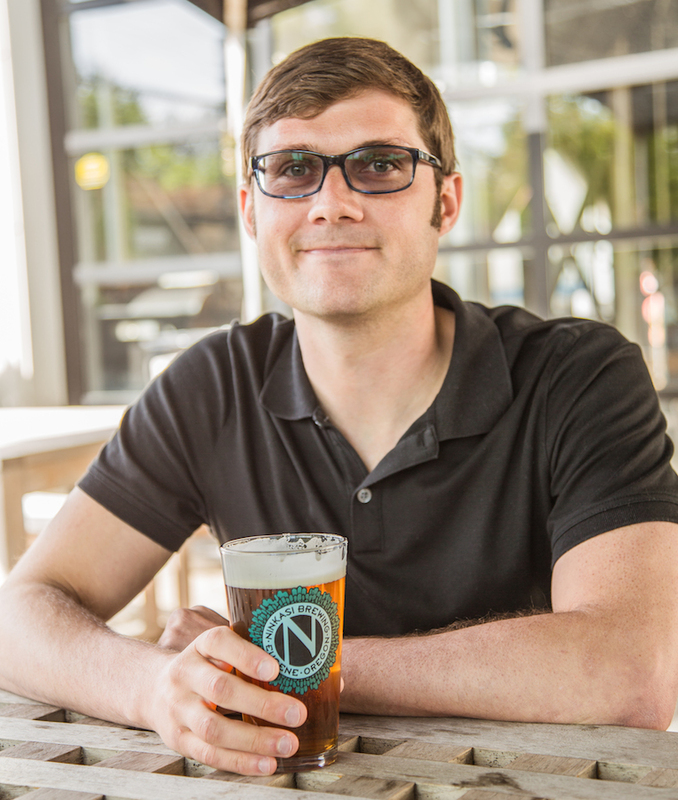 “The growth rates of the top 50 craft breweries have slowed down,” explains Nikos Ridge, co-founder of Ninkasi Brewery in Eugene, OR. But this period of wild growth and experimentation will not last forever, Ryan says. The wave could recede and take many breweries with it. And which companies survive depends greatly on what they brew and what business model they follow. 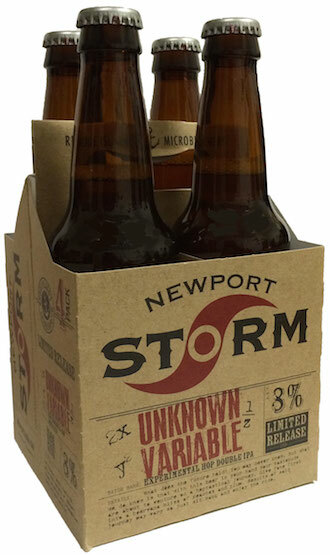 Released in 2016, Unknown Variable was Newport Storm Brewery’s first release with experimental hops. Consumers are far from losing their tastes for IPAs or barrel-aged beers. Both remain extremely popular and will remain strong craft beer trends in 2017. “IPAs are still growing and are still the largest category,” says Ridge. And as this category gets bigger, it’s also getting broader, observes Karen Hamilton, director of communications for Lagunitas Brewing Company. There are endless variations now on the IPA theme: double IPAs, wet hopped, dry hopped, single varietal, etcetera. Numerous varietals are being mixed together to make an array of piney spicy floral tropically fruity bitter beers. Redhead obtains new barrels from a cooperage down the road from his brewery, and also sources ex-bourbon and ex-wine barrels. All of which adds to his arsenal of tools for experimenting. If beers taste bad, then consumers who are drinking around without brand loyalty will never return to that brand. So Ridge of Ninkasi believes that quality — not variety — will ultimately determine which breweries last. “I do think we will eventually see a move away from variety purely for variety’s sake,” he says. Though if a brewery is established within consumers’ minds as consistently high in quality, Ridge adds, then they will have greater room to experiment while still retaining a strong following throughout any recession. Reports of a looming craft beer bubble remain overblown, argues Ben Fairweather, president and co-owner of Culver Beer Co. in Carlsbad, CA. “There really seems to be no slowing down for craft breweries. Breweries around San Diego seem to constantly be increasing their cellar capacity to meet demand,” he says. “I do think we will eventually see a move away from variety purely for variety’s sake,” says Nikos Ridge, co-founder of Ninkasi Brewery. Craft beer veterans will recognize that this scenario mirrors the last time the industry experienced recession. In the ‘90s craft beer enjoyed an upswing and, as Ryan of Newport Storm recalls, got ahead of itself. Breweries launched before they could guarantee the quality of their product. Beers came out with inconsistent quality. Eventually the consumer got fed up and lost interest. Sales nosedived. How that plays out long-term is yet to be seen. Beyond the importance of quality product, there are two prevailing strategies for how breweries can sustain business regardless of industry downturn. Either they can focus on creating national brands — or embrace the local market. Culver Beer Co.’s hometown of Carlsbad is a good example. The city contains 115 breweries, and even promotes itself as a destination for beer-lovers. But it’s the Carlsbad citizens who fuel the city’s burgeoning beer industry. They “get to taste our beer at its freshest and it’s that group of people that go out and start spreading the word about the brewery,” Fairweather says. There’s a sense of personal pride in drinking local. “Instead of people talking about beers from California or Washington, they’ll want to talk about beers up the road,” says Redhead of Woodland. Which is why NoCoast Beer Co. has branded itself with an eye towards regional expansion. Beyond producing beer, they foresee mobile canning and beer distribution as part of their business model as they “solidify our place as a major promoter of craft beer throughout the Midwest and beyond,” Crabtree says. Some craft breweries have instead chosen to go national. This typically involves selling the brand to a corporation like AB InBev or Constellation, which have gobbled up microbreweries in recent years. The goal here is a national footprint through larger distribution channels: getting product into the likes of Buffalo Wild Wings or Total Wine. 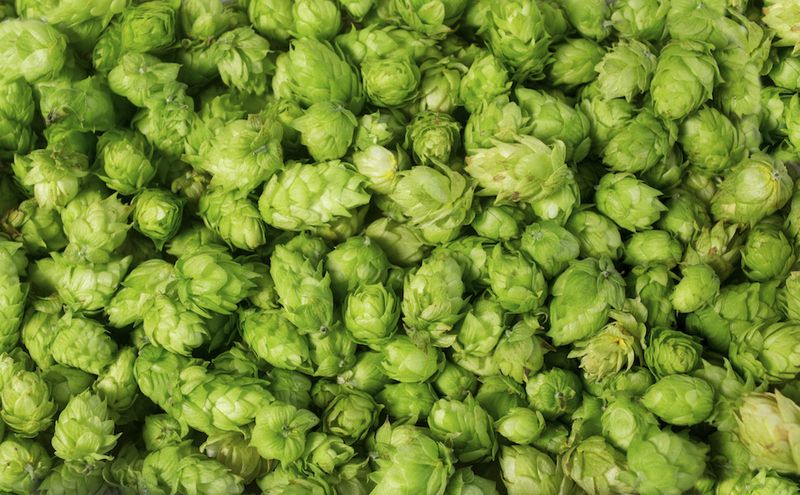 Numerous hop varietals are being mixed and matched to make an array of piney spicy bitter beers. Thanks to customers’ thirst for whatever’s newest to them, brewers are finding success with classic styles. And like today’s throwback trend in cocktails, drinking these beers holds retro appeal. Browning of Brewport makes Dr. Porter’s Stout, an old-world English-style stout that follows a recipe from 19th-century England. This is partly in response to breweries that see experimentation as the main way of creating new beers. For many drinkers, that curiosity starts when they first wonder about the backgrounds of historic German brews. What exactly is a hefeweizen? A gose? The Reinheitsgebot? And it helps that these classics remain as drinkable now as they did hundreds of years ago. For example, Woodland embraced beer history with No Treason, an adambier — a historic heavy black sour ale from Dortmund, Germany — with a wonderful balance between malts and smokiness. Barrel-aged, high-gravity beers will remain popular in 2017. Session beers remain a trendy style. These lower-ABV brews allow consumers to enjoy a number of beers without feeling too worse for the wear. And they can serve as a gateway into craft for macro drinkers. At the same time, there’s been a noticeable uptick in the number of higher-ABV beers on menus and shelves. “People seem to be actively looking for new and unique beers, and if it happens to be 10% or 12%, that won’t stop them from trying it,” explains Fairweather of Culver Beer Co. Hence the rise of double IPAs and heavy barrel-aged stouts. The high-gravity trend has extended into other styles as well. Stony Creek Brewery in Branford, CT, makes a double sour, while Woodland recently brewed a double kölsch. But bars, restaurants and brewpubs have to be careful about pouring boozier brews. Customer safety is paramount. For that reason, Woodland’s taproom only pours high-gravity beers in 10-ounce glasses to take care of customers, Redhead says, especially drinkers newer to craft who are not used to drinking these heavier beers. Brewport in Bridgeport follows similar rules. Anything over 8% ABV they pour only in 7- or 12-ounce glasses. “We don’t want anyone getting into a situation where these beers catch up to them without them realizing it,” Browning says. His staff keeps an eye on how many high-ABV beers a customer drinks and will be quick to cut them off. 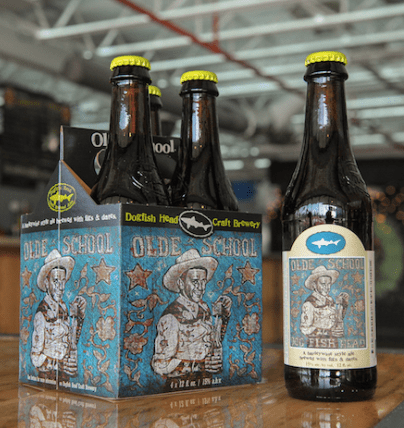 Customers will continue to pay top dollar for hard-to-find premium brews like Dogfish Head’s Olde School Barleywine. The trend of premiumization that has recently boosted sales of top-shelf wine and spirits has found its way into beer. Customers are now more willing to pay premium prices for better beer. This is behind the recent surge in bombers and 4-packs pushing the $15-$25 range, and beers on tap costing $8 or more. 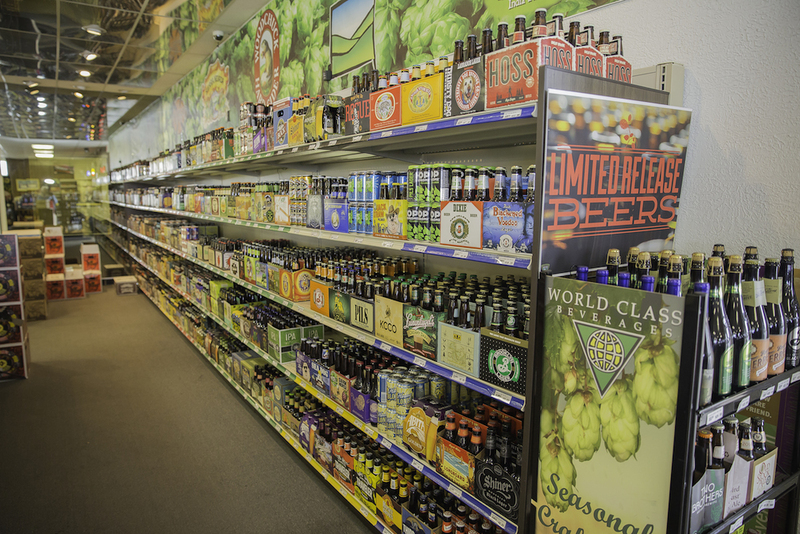 Customers inclined to pay premium are usually “craft beer enthusiasts,” Fairweather of Carlsbad points out. But even then, there is a cost threshold. “It really comes down to the individual and their buying habits,” he says. With every trend that zigs, there’s someone who zags. Browning at Brewport charges a flat rate per pour size: $3.50 for a 7-oz. pour, $5 for 12-oz. and $7 for 16-oz. These prices remain fixed even for the trendiest and hardest-to-find beers, like Fuzzy Baby Ducks IPA from New England Brewing Co. Although exotic beer styles, wild experiments and super-premium brews attract attention, top dollar and rave reviews on websites like beeradvocate and Untappd, they’re not always what pays the bills. Browning points out that his amber ales like Brewport’s Blood Orange Blonde are among his worst reviewed online. But they’re also his best sellers. 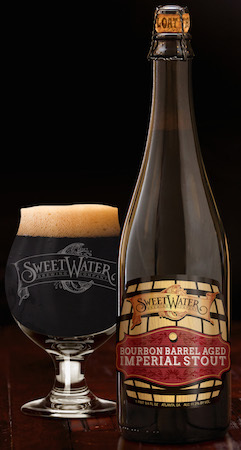 His beers that attain the highest marks online tend to be barrel-aged stouts, which also tend to be his worst sellers, while also being the most expensive and difficult to produce. Naturally, this bottom-line reality guides his beer-making decisions. “Rob Leonard [New England Brewing Co. brewmaster] likes to say that ‘We’re not the socialist republic of beer. We’re capitalists’,” Browing laughs. Ryan of Newport Storm sees similar results. His Hurricane Amber Ale receives criticism from beer communities online while continually leading his brewery in sales. “There’s a big difference between what people talk about online and what they actually buy,” he says. He also thinks that the sort of person who enjoys amber ales — the older drinker, or the broader consumer base — are not the type who frequent review websites. Most breweries have begun canning their beers. There are multiple advantages to this, explains Crabtree of NoCoast Beer Co.: Product stays fresher longer in cans. There is more “acreage” on a can for advertising your product than on a bottle (especially on a 16-oz. can). And, of course, cans are more portable than bottles. “We chose to start right off with cans due to their versatility,” he adds. Adding to this craze is the recent rise of mobile canning companies. And also that many premium popular beers, particularly IPAs and DIPAs, have shifted into the tall-can 4-pack as their primary means of packaging. As competition increases within the industry, any little way to stand out can make a big difference. So some breweries are printing sumptuous, edgy, eye-catching artwork on their bottles and cans. If this design gets someone to pick up and check out a bottle, explains Fairweather of Carlsbad, then that customer is already halfway towards purchasing it. “When I first turned 21 . . . I had little experience with the diverse offerings from craft breweries. It was the labels and artwork on the bottles that helped me try out styles that otherwise I wouldn’t have,” Fairweather says. NoCoast Beer Co. invests in artwork. Their variety of intricately designed labels ranges from psychedelic to Cubism, geometric to a roaring green Kraken. “It’s the graphics, the marketing, the brand: that is the all-important lure for the first-time taster,” says Crabtree. NoCoast Beer Co. product lineup | PRNewsFoto/NoCoast Beer Co.
After all, what’s most important in beer is the quality. Kyle Swartz is managing editor of Beverage Dynamics Magazine. Reach him at kswartz@epgmediallc.com or follow him on Twitter @kswartzz. Read his recent piece Are Craft Beer Bombers Going Extinct?